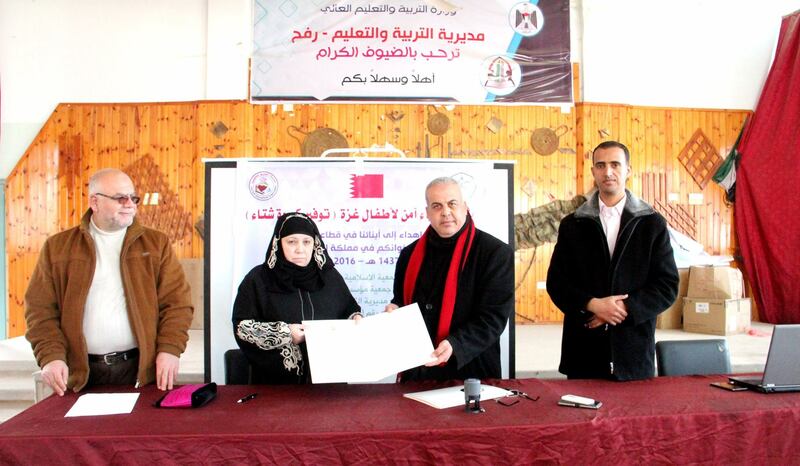 In the hall of the Directorate of Education and in the Martyrs' Hall, a project was signed for winter students with difficult economic needs, with the Gulf Educational Foundation, represented by the Chairman of the Board Amna Al-Awoor. The cladding distributed 350 gokhs of excellent quality to 350 students from the first and second grades of all schools, from students with difficult physical and economic conditions. For his part, the Director of Education praised the role of the Association in the service of our students in particular and the educational process in general. He also praised the role of the Ministry of Education and Higher Education, which welcomes cooperation with such institutions which are interested in serving our students, especially those in need. 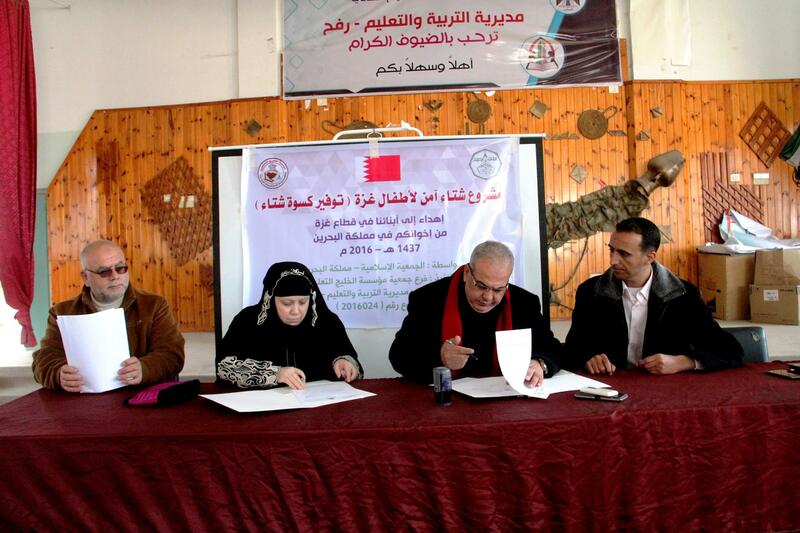 , Al-Ayour confirmed its readiness to cooperate fully with the Directorate of Rafah to serve the students and develop the work of the Directorate of Rafah. At the end of the meeting, the Director of Education honored the Islamic Society - the Kingdom of Bahrain, the mother association, and honored the Association.